Since 2014, Nephrology Consultants has offered numerous clinical trials that provide the patients who volunteer innovative, state-of-the-art health care. Under the direction of David Tietjen, MD, FACP and Jesslyn Roesch, BS, CCRC, Nephrology Consultants partners with Frenova Renal Research to conduct clinical trials. Frenova Renal Research, a Fresenius Medical Care North America company, is the only Phase I-IV drug and device clinical development services provider dedicated exclusively to renal research. Frenova provides access to the largest renal research site network in the world. 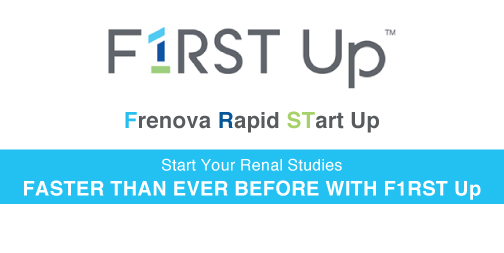 Nephrology Consultants is a member of the Frenova F1RST Up alliance, a highly select group of sites chosen for their expertise in renal research and track record of rapid patient recruitment and retention. Jesslyn Roesch, a native of Huntsville, earned a Bachelor of Science in Biology degree from the University of Alabama in 2010. Her undergraduate research in Biological Inorganic Chemistry and Dietetics focused on roles and pathways of essential nutrients in diabetic rats, and was published in 2011. She began her clinical research career at North Central Neurology where she studied various neurological conditions including Multiple Sclerosis, PML, Dementia, Stroke, Traumatic Brain Injury, and Cervical Dystonia. Mrs. Roesch joined Nephrology Consultants in April 2014 to develop and manage the Clinical Research Division. She has initiated 20 trials investigating Anemia in CKD and ESRD, Iron Deficiency Anemia, Polycystic Kidney Disease, Hyperphosphatemia, Hyperkalemia, Diabetic Nephropathy, Atrial Fibrillation in ESRD, and improvements in Vascular Accesses for dialysis. Jesslyn has held data-impacting roles in over 45 clinical trials, and has served as a guest speaker at numerous investigator conferences. She enjoys traveling, archery, and gardening. A clinical trial is a research study in human volunteers to answer specific health questions. Carefully conducted clinical trials are the safest and fastest way to find treatments that work in certain populations, and new ways to improve health. The duration of a clinical trial can vary. Some last 5 years, while others are complete in 2 weeks. Medical care and study medication are always provided at no cost to the participant. Often, the Sponsor of the trial provides reimbursement for travel to the office. It is important to test drugs and medical products in the people they are meant to help. It is also important to conduct research in a variety of people because different people may respond differently to treatments. Regulatory Authorities seek to ensure that people of different ages, races, ethnic groups, and genders are included in clinical trials. Some people participate in clinical trials because they have exhausted standard (approved) treatment options – which either did not work for them, or they were unable to tolerate certain side effects. Clinical trials may provide another option when standard therapy has failed. Other people participate in trials because they want to contribute to the advancement of medical knowledge. People should learn as much as possible about the clinical trials that interest them. Prospective participants should understand what happens during the trial, the type of health care they will receive, and any costs to them – which may or may not include the cost of the product, costs associated with administering the product, etc. Patients should feel comfortable discussing their questions and concerns with members of their health care team to determine whether or not participating in a clinical trial for their medical issue is appropriate. If you have any questions about a current or future study, don’t hesitate to contact the Research Division at 256-533-4626.